Cutting concrete might look similar on the surface to cutting a softer material such as wood. The extreme hardness of concrete however requires a fine balance between the power of the machinery used, the quality of the diamond tipped tools such as saw blades or drill bits and the way the diamond crystals are actually fused to this tip. All these impact the speed and quality of cut. 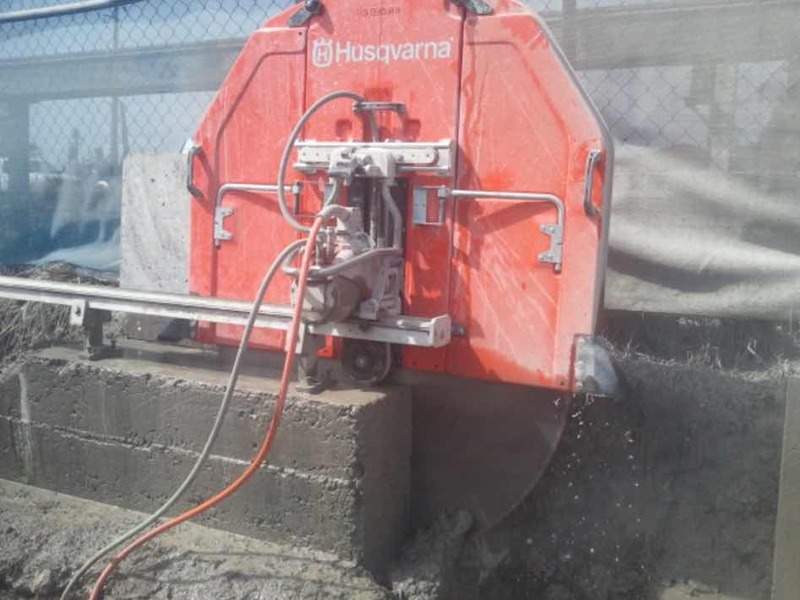 The power of concrete cutting machinery is critical to the speed and quality of the cut. 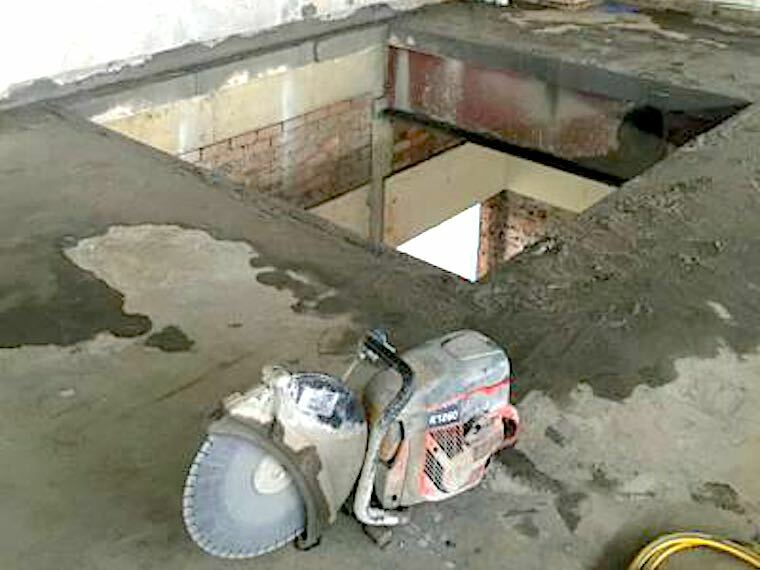 Concrete cutting is actually done by grinding. A diamond coated saw blade or drill bit actually grinds away at the concrete surface. A higher horsepower engine will ensure that whatever blade or drill is chosen will have the necessary strength to pull the blade across the cutting surface. Also, features that apply water reduce dust or vacuums to remove dust for safety should always be considered essential. The saws blades and drill bits used in cutting concrete have a diamond coated tip attached to end. This tip can be replaced once it is worn down. The tip is attached to the saw or drill through a process of either sintering or laser welding. Sintering is a low cost approach for simpler concrete jobs. Laser welding provides a higher strength bond better suited to heavy duty applications that require a faster speed and a deeper cut. In concrete cutting, super hard synthetic diamond crystals coat the tip of the blade or drill making it possible to cut through a substance as hard as concrete. A number of factors affect the speed and cleanliness of the cut. More diamonds per square inch means more power is required to make the cut, simply as there is a greater cutting surface area. It also allows for a faster cut and a longer life for the saw blade or drill. The size of the diamonds also has an impact on the ability to cut certain material. A finer grade of diamond will be able to cut harder material like quartz or granite with a larger sized diamond better suited to cutting softer masonry materials like asphalt or clay bricks. The bonding agent that holds the diamond crystals together on the drill bit plays a major role in regulating the time each diamond spends at the cutting face. The diamond crystals smooth down after a while and become less effective for cutting. A softer bonding agent will dislodge the diamonds quicker revealing sharper, more effective diamonds to take it’s place. This means the blade will cut quicker but also need to be replaced more frequently. 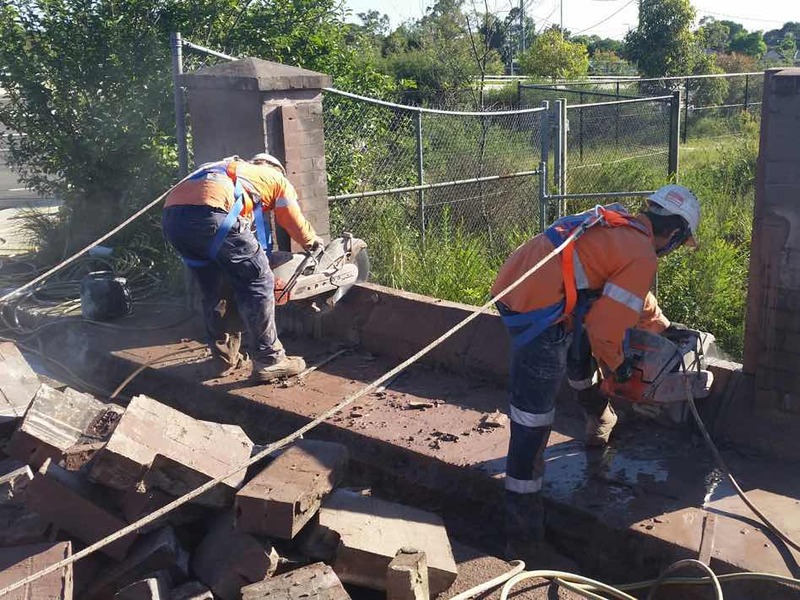 As you can see there is more to concrete cutting than meets the eye. It’s important to adjust the machinery and composition of the saw blades and drill bits based on what material is being cut and to ensure a quality cut in the least amount of time.